To my Mother who with the help of God gave me my start in life, to the late "Cowboy Loye" who gave me my chance for Radio fame and to you my Radio Friends, I, my Wife and Son wish to dedicate this book. 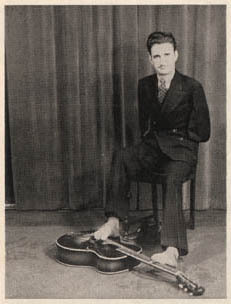 He gently kicks off a right shoe, pulls forth a small key, inserts it in the lock of a long black car, gets in and slowly pulls away-not gibing it a thought that he is known the World over as "The Famous Armless Musician." It all began on a cold snowy day, January 2, 1911 on a little farm near Lancaster, Pennsylvania when a tiny baby boy was born armless to Mr. and Mrs. William Myers, who were already the parents of four other children, two boys and two girls as normal as any child could be. 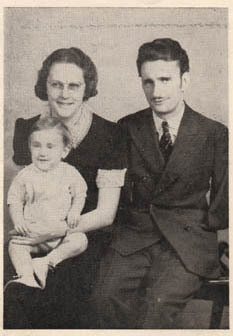 They were a happy couple never dreaming that this tiny baby, who had been named Raymond Robert, would become famous. He grew as any little baby using his little feet in place of hands. He played with safety pins in his Mothers dress when he was just six months old. He began walking just as any other child, and was able to feed and partly dress himself when he was two. 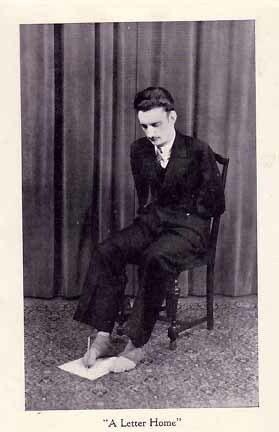 By the time he was three he had been offered a job with a large well known circus but his parents wanted him to grow up as normal child so they refused saying that when he was older he could make up his own mind as to what he would rather do. As the school was several miles away and the children had to walk he did not start until he was seven, he was a bright chap and by the time he was fourteen he was ready for High School. The sorry part of his life was the death of his father when Ray was just twelve. 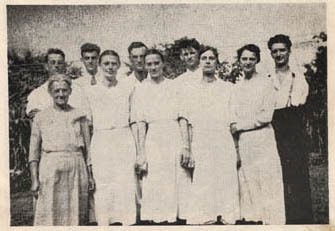 His oldest brother was nineteen, hardly old enough to assume the responsibility of supporting his widowed mother and the other eight children, so his mother sold the farm and with the money bought a small house and lot on the Lincoln Highway near Paradise, Pa.
At this time Ray as he is known to his Radio friends was given a chance for a higher education when the Lions Club of New Holland Pa., placed him in the Good Shepherd Home for crippled children at Allentown, Pa., where he entered High School and was graduated with honors just four years later. In the meantime he had played Trombone in the High School Band, had studied Art and had gotten an Hawaiian Guitar and with the ambition that only the Good Lord can give, he learned to play using his feet. 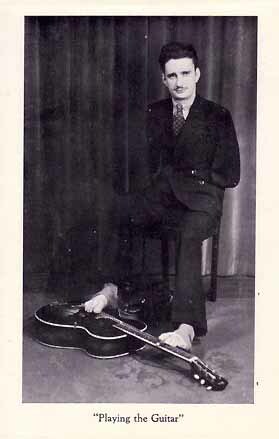 With the toes of his left foot he held the steel bar to note the guitar and with his right foot he held a very small pick to strum the guitar. He played and sang for Churches at small gatherings, entered and won Amateur Contests until he decided it was time to make his own way. It was then 1933 and World's Fair at Chicago was in progress, he left the "Home" and contacted Robert L. Ripley and the "Believe It or Not Oddities." It was a very short time until he was on his way to fame and Bright Lights. There he stayed until the Fair closed. He retur ned home and with the money he saved bought a small car as he had made up his mind that if he could do all the other things in life that a normal person can he could learn to drive a car. They all laughed, but as the old saying goes "He who laughs last, Laughs loudest," this he was able to do as he applied for a learners permit and was given a chance to show what he could really do. 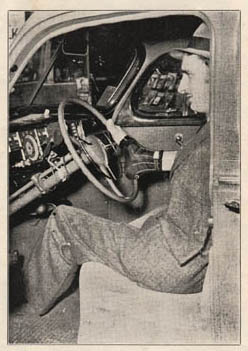 Just one week later he went to Harrisburg, Pa., where he took a driver's test in traffic in the Capital City of Pa. The Patrolman who gave him the test said, "His driving is perfect." Today he has driven some 150,000 miles in twelve different states. And has never had a serious accident. 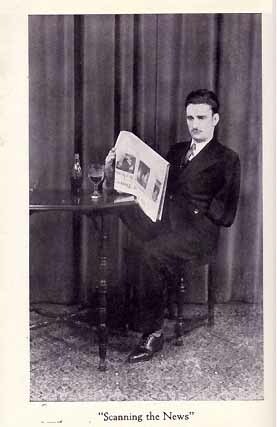 This was 1936, he had been broadcasting for nine mother on W.G.A.L. Lancaster, Pa. 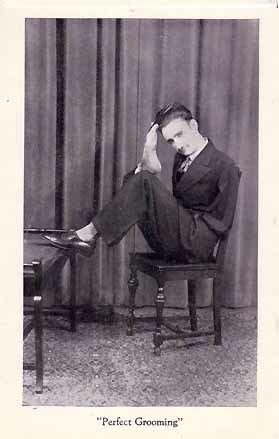 It was on New Years Eve while broadcasting on a National Hookup program for Robert L. Ripley that the Famous "Cowboy Loye" heard him and immediately wrote him a letter, and just two weeks later he sang his first song on Radio Station W.W.V.A., Wheeling, W. Va., that began a great Radio Career. He made personal appearances for seven months in Ohio, West Virginia and Pennsylvania, then took a two months vacation, again returning to West Virginia at Fairmont on W.M.M.N. with Cowboy Loye. 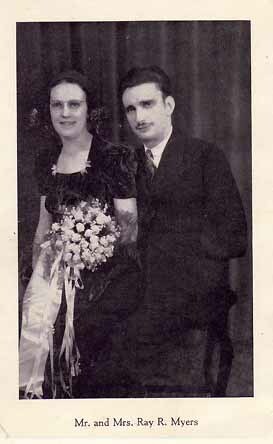 Here he met Miss Eleanor Jane Sturm and on December 22, they were married on the stage of the beautiful High School Auditorium in Fairmont before several thousand people in one of the most beautiful weddings ever performed. Vacation time rolled around and in 1938 found him with a brand new job in Reading, Pa., on Station W.E.E.U., with Uncle Jack Nelson. 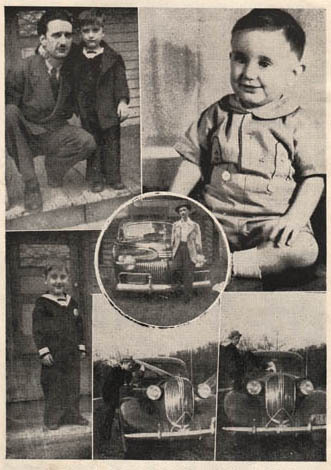 Here on November 2, he was a very proud papa of tiny Ronald Nelson, who was a perfect child. He worked here all winter until the New York Fair was opening and the urge was too great so off he went to the big City but the Fair was not as he had expected and he was offered a good job on 50,000 watt W.H.A.S. Louisville, Kentucky, with Cousin Emmy and her Kinfolks. Here he stayed until fall and after a short vacation found him back at W.E.E.U., in Reading, Pa., again with Uncle Jack. 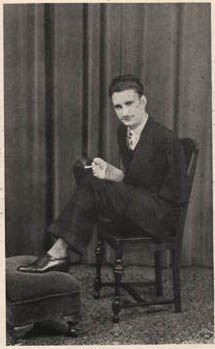 Here he worked until the fall of 1940 when he went to Huntington, W.Va., with Radio Dot and Smokey, a fine Radio team. The call to move on found him teamed with three others boys, Slim Mays, Curley Mitchell, and Jack Furbee and known as "The Buccaneers" on W.S.V.A., in Harrisonburg, Va. Here he stayed until fall when he went to Youngstown, Ohio on W.K.B.N., with Blaine Smith, but the funniest of all comedians Smokey and Radio Dot called him to Charleston, W.Va., on W.C.H.S., and as he loved working with this popular team, the time was short until he was once more entertaining his West Virginia friends. After leaving Charleston in May he opened his own show on Station W.H.I.S. in Bluefield, W. Va. Here he remained until November when he returned to Pennsylvania where he is the featured attraction with his own show. Perhaps you wonder who has done all this writing. 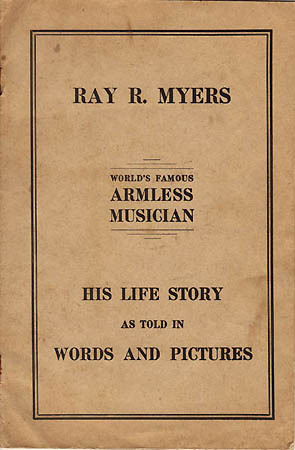 It is none other than Mrs. Ray Myers and is just as has been told to me by Ray and his Mother I hope you get as much enjoyment in reading it as I have in writing it for you. Whenever Ray decides he needs to relax a few minutes he has no trouble in taking a package of cigarettes from his pocket and with a folder of paper matches lights one and puff's away. 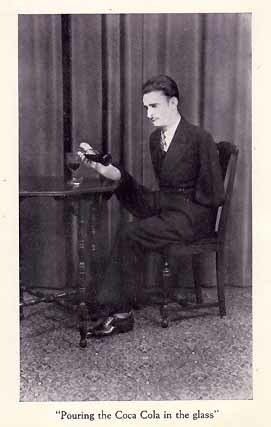 Driving a car is no handicap to Ray R. Myers "The Armless Musician. He drives a standard equipped car and is said to be the only licensed armless driver in the world. He holds Pennsylvania and West Virginia driver's license, having taken rigid road tests to obtain them. 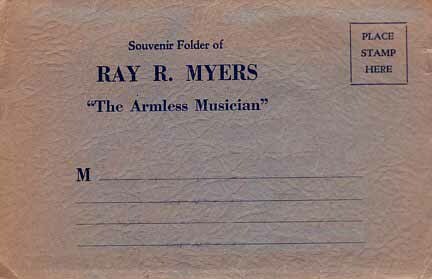 Ray R. Myers was a native of Lancaster, Pennsylvania. 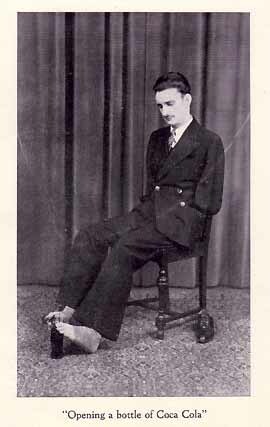 He was steel guitar player, and that would be a story of inspiration for anyone for you see, Ray was born without arms. He was the fifth in a family of nine children. He graduated from the local Allentown High School. His musical career started off in the high school band where he played the trombone. Later on he bought a Hawaiian steel guitar. He had lofty aims to learn this instrument, so he kept the steel guitar under his bed until he learned it. 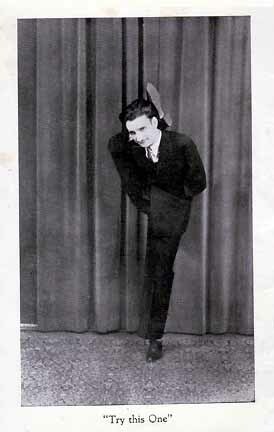 He began performing at the local events, such as churches and amateur contests. Then, the local radio station in Lancaster, WGAL, gave him a program. 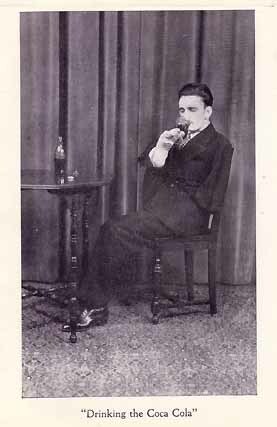 In 1937, it seems that Cowboy Loye, who was then starring at the WWVA Original Jamboree, happened to hear the "Armless Wonder" as they called him and hired him to play on WWVA with him. That springboard opened other doors and its said that he played other radio stations in the south. By 1953, he had a daily show over radio station WPDX in Clarksburg, West Virginia, where he was appearing with the Mays Brothers and Cindy Coy. is the sole property of John Robinson � 2005, All rights reserved.